Coming from a horse-sporting family, where everyone rode and foxhunted, Katharine started early in Pony Club, showing, eventing, trail-riding and foxhunting. She achieved her USPC A rating and rode on the IHSA team while at Mount Holyoke College. At Mount Holyoke she also taught riding and several of her students went on to show on the IHSA team and even to win at Nationals. Following college she hunted and taught riding at Oldfields School in Baltimore County. This was a fantastic experience and introduced her to many of the local horsemen/women which led to a job riding for a timber-racing trainer. After a second major riding accident in two years, it was time to get a “real job” with good health insurance! Katharine made the “sensible” decision to go into the Financial Services industry and started in the Management Associates program at a mid-size bank in Maryland. Finally, she landed in the merchant side of the credit card industry, in several different departments for over 13 years. In 2009 she was elected to serve as Joint MFH of the New Market Middletown Valley Hounds. Her husband loves hunting and horses as much as she does and is willing to help at the kennels and their farm! 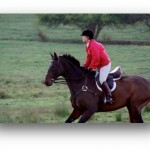 Katharine feels blessed in knowing so many great people, horses, hounds, and places through Pony Club and horse sports. Her wish is for others to have a similar appreciation for its traditions and to experience its excitement and pleasure. Stephanie is a C-3 graduate of Deep Run Hunt Pony Club, near Richmond, Va. During her Pony Club years she participated in camps, many mounted and unmounted rallies, several Eastern Championships, two National Championships/Festivals, and the 40th Annual Meeting. She was also very active in 4-H, the Commonwealth Dressage & Combined Training Association, and USCTA (now — USEA), and she and her off-the-track Thoroughbred were Area II Training Championship winners. Stephanie graduated from Averett University (then College) in Danville, VA, in 1999 with degrees in journalism and equestrian studies, along with a minor in studio art. She served on the Student Government Association three out of her four years in college (elected president her senior year). In the meantime, she evented her own horse and college-owned horses, taught kids’ riding lessons, and worked in retail. Additionally during her college years, she traveled to France to compete on the first U.S. team in the world championships of TREC, a European sport with orienteering on horseback as its central feat. 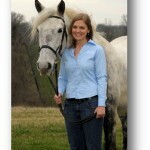 She is a winner of the American Horse Publications’ (AHP) student award in 1998, and a participant in the organization’s internship program. The Horse hired her after graduation in July 1999 as an editorial assistant, and since then she has served in the roles of staff writer, news editor, copy/features editor, managing editor, and her current position as editor-in-chief. Stephanie serves on the Board of Directors for AHP and will become President this June. In her free time she enjoys, traveling, cycling, cooking, photography, writing, and of course, horseback riding. 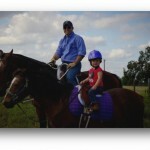 David is a graduate H-A and former District Commissioner of the Huaco Pony Club in Waco, TX. Now a resident of Austin, he is the founding shareholder of Courreges, PC, and an adjunct professor of political science at St. Mary’s University. His practice includes legislative and governmental affairs, administrative law, association law and mediation. He has over a decade of direct experience in government law, working as the legislative director for two high-ranking state representatives, general counsel for two non-partisan legislative caucuses, as well as a consultant for several entities dedicated to the research and promotion of sound public policy. David is the current president of the Austin Young Lawyers Association, Immediate Past President of the St. Mary’s University Law Alumni Association – the youngest in the school’s history – and past vice president of the Texas Young Lawyers Association. He was named the 2013 Lawyer of the Year and a finalist for the Austinite of the Year by the Austin Under 40 Committee, the 2013 Distinguished Young Alumnus of St. Mary’s University School of Law, and was recognized by the publishers of Texas Monthly as one of two Texas Rising Stars in government relations in 2011, 2012 and 2014. David earned his J.D. and MPA from St. Mary’s University in May of 2005, and his B.A. in Government and History from the University of Texas in December, 2000. He and his wife Erin have been married for 8 years, and have a 3 year old daughter, McKenna. Each morning Mark wakes up fighting. That is an odd statement for a Pony Club alumnus to make, perhaps but he is a husband and a father, a scientist and a CEO and now he is a cancer researcher. He graduated with a pair of undergraduate majors in biochemistry & molecular genetics and biology. Mark was interviewed at the Lombardi Cancer Center at Georgetown University in Washington, DC, and took a position as an entry level technician. He worked three years in that lab as a pathology assistant and histo-technologist. This was a position that his time as a Pony Club member had trained him well for as it took patience and attention to detail. In 2003 he moved to work in a lab at the Moffitt Cancer Center where after more than 10 years he has contributed his heart, soul and weekends (a characteristic that was first planted in Pony Club) to patients’ needs for better treatments and better outcomes. He was not willing to stop there. 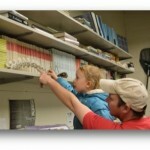 Last year he re-enrolled in school and is currently a PhD candidate at the University of Illinois at Chicago. He retained his full-time position at the Moffitt Cancer Center in Tampa, but for 32 weeks last year he commuted weekly to Chicago to work with a brilliant evolutionary ecologist, Joel Brown. Mark’s goal is that his wife and daughter do not have to have the same experiences with cancer many of our parents and grandparents have had and this motivates his daily fight. The USPC National Youth Congress was established in 1998 in order to recognize outstanding older Pony Club members that have achieved a National Certification (H-B/C+/C-3 or higher) from all over the country and to bring them together for a series of workshops and discussions intended to expand their awareness of themselves and of the rapidly changing external world into which they will soon graduate. The Congress provides opportunities for youth delegates to think about their own strengths and weaknesses and to examine ways to overcome obstacles that may face them in the future. It enables them to share ideas with their peers from around the country through group discussions, role simulations, and other interactive activities, thus expanding their awareness of the “wider world” around them. Each year several USPC alumni are inducted into the Alumni Academy of Achievement, and join the delegates during the 3-day Congress. The alumni honorees play a vital role in the National Youth Congress because they bring the voice of experience into the discussions. They listen, encourage, laugh, and commiserate with the young people, and share personal stories of success and failure, helping the youth delegates to recognize that life is filled with the unexpected and that flexibility and a sense of humor can be as important as excellent goals and plans.